So, I've been absolute trash at keeping up with my resolution of writing on this blog. My other resolution of watching a movie a day is going spectacularly and maybe I'll write about the movies I've watched. Weekly? Monthly? We'll see. I don't know why I continue to create these expectations when I know full well that I probably won't be living up to them, but I guess I just want to keep you on your toes in case I actually live up to my promise. Remember when I used to update daily? Who even was I back then? Where did I find the time? Speaking of movies, though, Oscar noms came out yesterday and I've got some OPINIONS on them. First of all, I am so happy that Greta Gerwig got nominated for Best Director and I think in my absolute excitement, I blacked out and bought a t-shirt that just says, "GRETA GERWIG." So, real excited for that to come in the mail and to be the only shirt I wear for the duration of TIFF. Second of all, it is a goddamn travesty that Dee Rees and the majority of Mudbound didn't get the love they deserve. Actually, I should probably just do an entire separate blog post about the Oscars because I've got a million more thoughts because it's taking away from the real star of today's blog; Me. So, I wrote a book and it's called Burn Before Reading and it's officially been out for a year today. That's right, my baby's turned one. And just yesterday, I turned in the second draft of the second book. What a weird world. I have probably mentioned this a million times before, but this is my blog and my day, so I'm going to talk about it again. A lot of media for LGBT people centers on the coming out experience and it's almost always sad. I mean, off the top of my head, I can really only think of sad LGBT movies. Carol, Brokeback Mountain, Milk, Philadelphia. The only happy LGBT movie that comes to mind is But I'm a Cheerleader and even that is centered on coming out. Nothing against coming out narratives. They're important. Especially when navigating the coming out experience for yourself. But there comes this point after you've gotten to a place of acceptance where you want to see yourself in a life outside of your sexuality going through the normal life troubles. You want to see yourself in every possible narrative. The same way a straight white dude gets to see himself as a doctor, firefighter, hero, villain, construction worker. Anything. Everything. All I've ever wanted when it came to pop culture was a fun '90s-style high school comedy centered on a lesbian that's not a coming out story, but a coming of age story. That's it. I didn't think that'd be a lot to ask and YET. Toni Morrison once said, "If there's a book that you want to read, but it hasn't been written yet, then you must write it." So I did. And it's available on Amazon. It's about being seventeen and having no idea which way's up or down. Y'know, the normal feelings that come with being seventeen. It's sweet and I think it's funny, but at the end of the day, it's about the thing in life that really matters; 80s power ballads. Just kidding! It's about love and friendship and all that jazz. The good stuff. The best stuff the world has to offer. Check it out if you'd like. I think you'll like it. 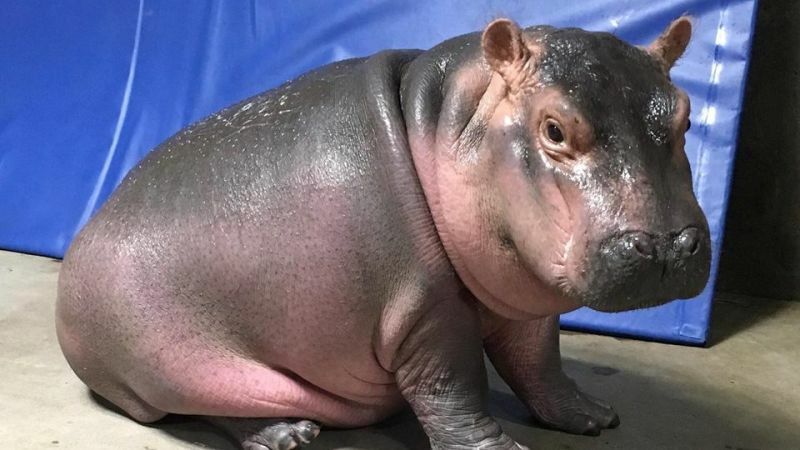 Also, it's Fiona the Hippo's birthday today, so it really is a blessed day.